Newbattle Community High School moved into their new school campus in June 2018. In partnership with NHS Lothian they have been working with ASH Scotland to develop a tobacco-free policy for the school. We caught up with Christine McKimmie, Guidance Teacher, to hear more about the campus move and Newbattle’s journey to becoming a tobacco-free school. What motivated Newbattle High School to get involved with the tobacco-free schools project? Newbattle High School is situated just outside Dalkeith and draws pupils from a mixed catchment area with pockets of high deprivation. As a school we have always been committed to improving the health and wellbeing of our young people and are keen address the issue of smoking. We’ve been involved in other smoking initiatives before but it’s still an issue amongst some pupils. What was different about this initiative? We felt the whole school approach of the tobacco-free schools project would equip us with the knowledge and confidence to address smoking in a more supportive way and improve the health and wellbeing of our whole school community — not just pupils. We were also keen to review and update our tobacco resources and curriculum. How did you prepare for your new tobacco-free policy? The school campus move gave us something to aim for — we were able set our tobacco-free expectations from day one in the new school. Giving plenty of time to the consultation process with pupils, staff and parents beforehand was key. Gathering everyone’s input on the new tobacco-free policy at the outset really helped lay the foundations and gain support for becoming a tobacco-free school. Newbattle have taken a real partnership approach, can you tell us a bit about that? As well as a state of the art school, our new building also includes a public library, gym, sports facilities, a swimming pool and a range of community facilities. It was important to get the community partners on board from the beginning as they have a crucial role in ensuring the tobacco-free policy is applied across the campus and help to make sure that centre users get consistent messages. We worked closely with the school moving group to negotiate tobacco-free signage at the campus entrances — it was important to get this agreed early in the process as it can be difficult to change plans further down the line on such a large project. Did you makes links with anyone else? I met with a smoking cessation advisor from NHS Lothian who helped guide me through the referral options to stop smoking support for pupils, their families and staff. Creating a supportive environment for people who want to quit smoking is an important part of our tobacco-free policy. How did you involve young people in the process? Pupils voted on their favourite signage designs for the new building and they also created PowerPoint presentations for the staff in-service day. The pupil voice group have also voted on the final policy proposals. All of the templates and resource from ASH Scotland were really useful! The checklist tool helped us identify where we could make improvements, the consultation examples helped us decide what survey questions we wanted to ask and the policy templates guided us on the content and tone of the new policy. Any teacher knows that the summer term is busy with exams, followed by the schools show, trips, sports events, throw in a heat wave and campus move — a new tobacco policy doesn’t come top of the to-do list! Thankfully we have a dedicated team here at Newbattle. Anticipating this would be a hectic time we made sure the planning for the tobacco-free policy was done well in advance of the school move: our new signage designs were ready and staff had been briefed on the new policy ahead of the move. It looks like you’re settling into the new campus? We’ve had many positive comments from staff and visitors. 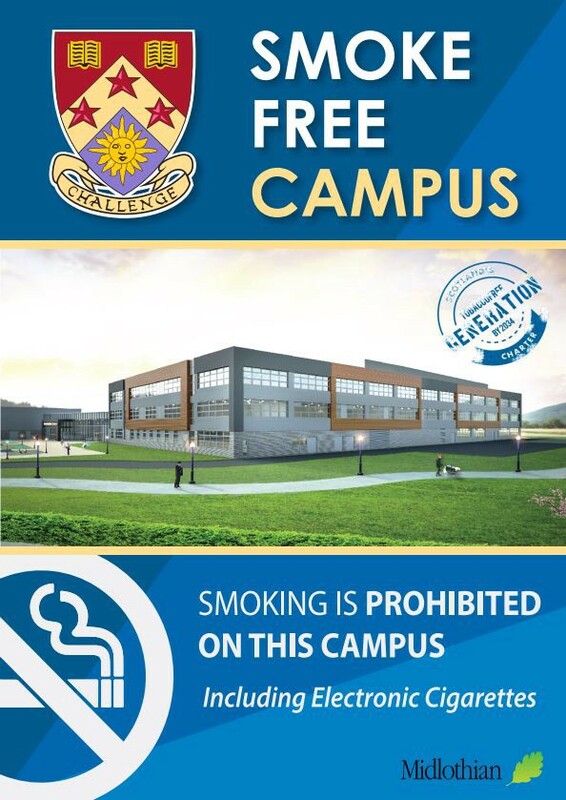 The community is very proud of our new smoke-free campus and everyone is seems supportive of our aim to create a clean and safe, welcoming environment for everyone. It’s early days, we’ve only just started to implement the tobacco-free policy and we have lots of planned over the coming year. What are the next steps for Newbattle as a tobacco-free school? We have a tobacco themed assembly week planned to coincide with No Smoking Day. Our staff survey highlighted a number of areas where tobacco could be brought into the wider curriculum beyond PSE. This will be our biggest area of focus this year. We’re keen to keep tobacco education relevant and make connections across different issues– the Tobacco-free Schools Resource Pack has some really useful resources and classroom activities. What advice would you give to other schools working towards tobacco-free school status? Be realistic in what you want to achieve — focus on a few key areas that your school would like to change. Having a clear action plan will help to embed your policy in the first year and beyond. Change won’t happen overnight, so take your time to get it right. 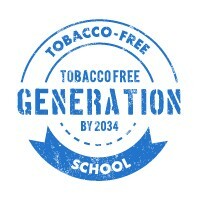 Finally, what do you hope to achieve from being a tobacco-free school? We hope our tobacco-free school will support young people to stay smoke-free and have a positive effect on the life chances of our young people. 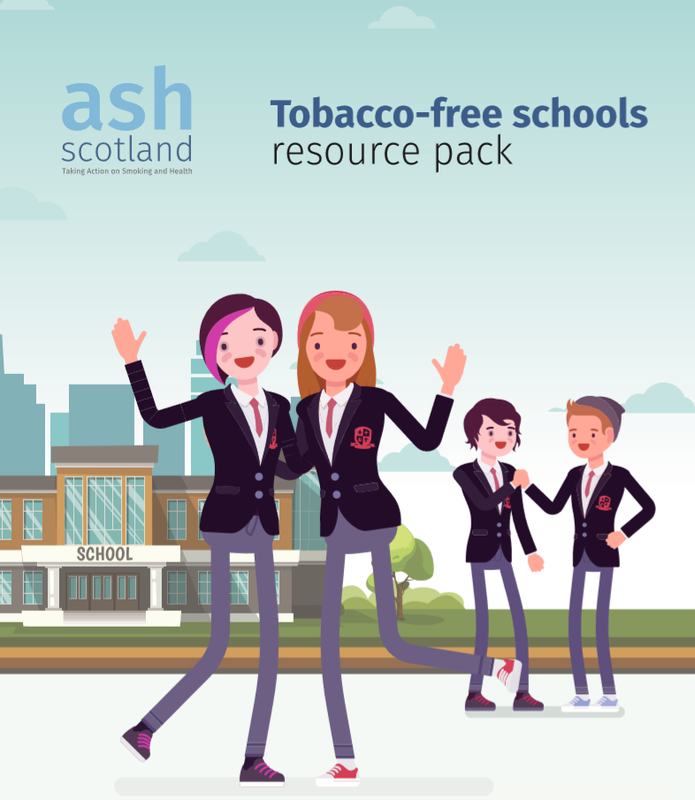 Every local authority secondary school in Scotland is eligible for one FREE copy of the tobacco-free schools resource pack. It’s linked to the Curriculum for Excellence and includes a range of practical tools to deliver high quality education on smoking, health and wellbeing. The pack addresses a range of themes including e-cigarettes, finances, mental health, the benefits of being smoke-free, dealing with pressure, building confidence and resilience. Email admin@ashscotland.org.uk to order your pack or visit www.ashscotland.org.uk/schools for more information. Our vision is that everyone has the right to good health and to live free from the harm and inequality caused by smoking.